Alvvays are generally associated with other Toronto acts, but with members originating from Cape Breton and PEI, their sound is more rooted in the Maritime rock tradition than it may seem. 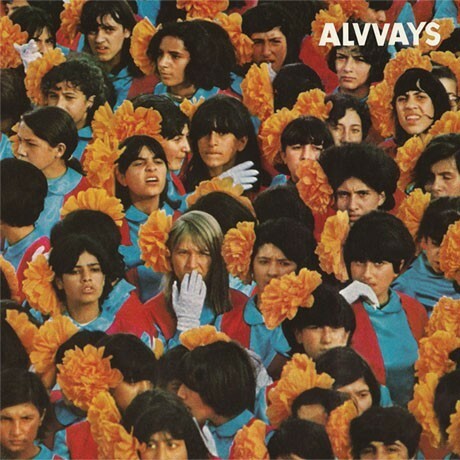 That's because, for all its big city wit and cosmopolitan candour, Alvvays' self-titled debut is essentially a beach record. Buoyed by the effortlessly cool and deadpan delivery of lead singer Molly Rankin, it's hard to hear any trace of the folk-pop stylings from her initial solo forays on the band's first-ever LP. Instead, sun-soaked synths and glassy guitars crash and surge against one another, coalescing in pools of reverb (the forlorn "Next of Kin") and shoegaze-laced spray ("The Agency Group") to create the perfect summertime cocktail. Nearly three years removed from his Two Hours Traffic departure, lead-guitarist Alec O'Hanley's fretwork sounds as masterful as ever, with even the most simple of riffs on tracks like lead-single "Archie, Marry Me" and "Ones Who Love You" floating to the surface thanks to producer Chad VanGaalen's ear for lo-fi scorchers. If there's one complaint to be made about Alvvays, it's that it seems a bit too short. But, like all good summertime experiences, Alvvays' debut feels like a warm and fuzzy memory, forging a deeper sense of nostalgia with each repeat visit.